Fiction-Atlas Press LLC > News > Services > Counterclockwise Release Day Giveaway! 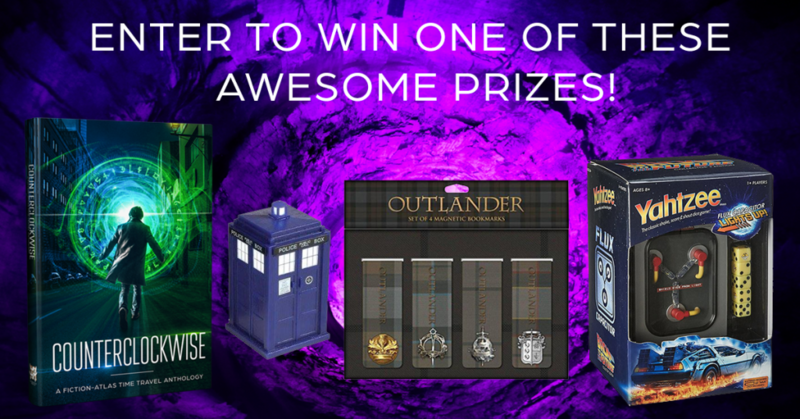 Enter to win a paperback copy of Counterclockwise, a flux capacitor Yahtzee game, a set of 4 Outlander magnetic bookmarks, or a light up TARDIS! Plus, there are several ways you can enter!